And how the success of Scorpio will have positive implications for DX12 performance in PC games. Incredibly, it’s been almost six months since Sony outed the PS4 Pro. 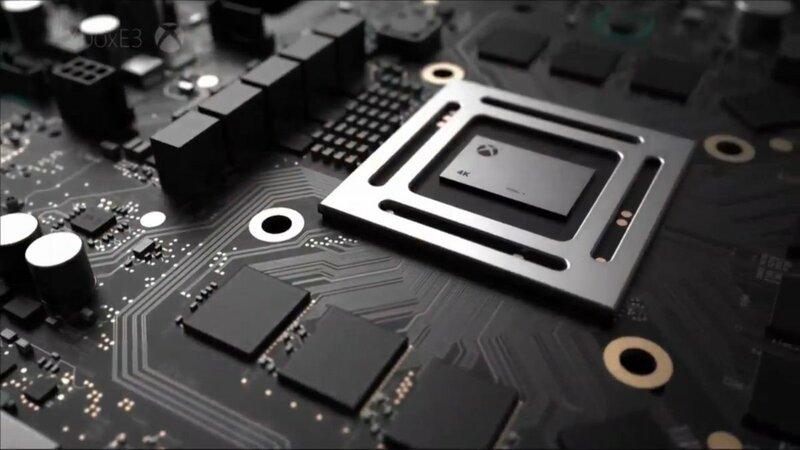 Project Scorpio was little more than a teaser then, a tastefully positioned board shot (which allowed the intrepid eyes over at Digital Foundry to work out how much memory Scorpio had onboard, way before this month’s announcement). The PS4 and Xbox One continue to deliver ever-shinier visuals in titles like Horizon: Zero Dawn and Gears of War 4, making a good pass at, but not quite surmounting the uncanny valley. PC hardware has, of course, gotten significantly more powerful. But Steam usage data indicates that the vast majority of PC gamers continue to game on humble, midrange to entry-level systems. Sure, the GTX 1080 Ti offers close to 8 times more raw graphics horsepower than the consoles. But what kind of sales figures are we talking about, here? There are over 50 million PS4 consoles out in the wild. Realistically, parts the 1080 Ti (or even “popular” enthusiast cards like the 1070), are unlikely to shift more than a few hundred thousand units over their lifetime. 4K TV sales are certainly picking up, but we’re still at the point where Full HD was circa 2009: it’s entering the mainstream, but plenty of people (the majority of the market, actually), are quite happy with what they already have. There definitely is an addressable market for a 4K console, but its nowhere near the size of the audience that Sony and Microsoft are selling regular PS4s and Xbox Ones to. To put that into perspective, an NPD market research report, indicates that, at least as of December, Sony was selling 7 times as many PS4s as it was PS4 Pros. "The PS4 Pro is very clearly a stop-gap product. That’s not a criticism–it’s the way Sony’s marketed the Pro, after all. 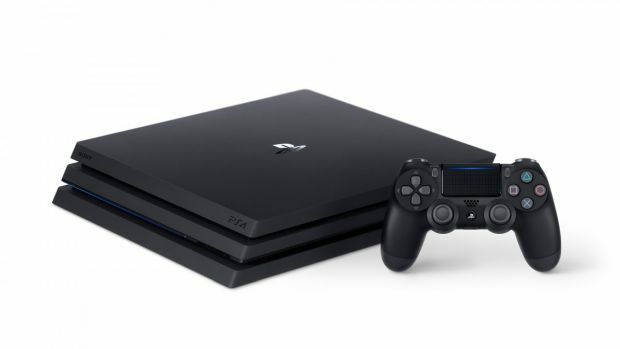 And considering all that talk about iterative console development, it’s a possibility that we’ll see something that’s meaningfully better than the Pro, or Sony may just release a PS5 instead within the next few years." In spite of all this, Microsoft and Sony both appear perfectly happy to throw millions of R&D dollars at 4K consoles. 4K’s not a gimmick like 3DTV. It’s a new resolution benchmark that’s being adopted everywhere, from cinema to TVs (duh), to phones (where it most certainly is a gimmick). Assuming that television’s not completely replaced by augmented reality glasses, 4K (and eventually 8K) TV sets will dominate in the next decade or so. We’re just a bit early to the party. Just how early will determine the success or failure of both the PS4 Pro and the Xbox Scorpio. Setting the “are these things even relevant” question aside (let’s assume they are), which console’s better able to provide a good 4K gaming experience? The PS4 Pro has had the advantage of getting to the market early, and it’s going to continue to enjoy that advantage right up until Q3/Q4 of this year when Scorpio finally becomes available to the public. Momentum counts for a lot, sometimes even more than superior hardware specs. You just have to look back at how the 6th generation panned out to see that: The PS2, a much weaker console than the original Xbox, had the advantage of being available for almost two years before Microsoft’s debut black box. That time and wide third party support enabled the PS2 to power past the Xbox in terms of sales. With the Pro and Scorpio, things aren’t quite as clear. For starters, the Pro is still very much in the shadow of the PS4, both in terms of sales figures and product positioning. It’s complementary to the PS4. Apart from being able to run games at slightly higher resolutions, it doesn’t have a USP that’d really cause sales momentum to pick up: there are no Pro exclusives, there are no new interaction paradigms. Heck, there isn’t even a night and day difference in visual quality between a Pro-patched game and the PS4 original. Scorpio, on the other hand, has the potential to be something more. Speaking to Digital Foundry, Xbox engineers indicated that enhancing the 1080p experience on Scorpio was as much a part of the package as 4K. From a marketing point of view, what we’ve heard of Scorpio is of a console that’s meaningfully differentiated from the Xbox One, while still remaining within the “Xbox family.” If the Scorpio offers a sufficiently differentiated experience, the PS4 Pro’s prior market availability might not matter as much. "The Scorpio’s 40-CU graphics processor incorporates features from both the Polaris and Vega architectures. And the significantly higher core clock (GPU Clocked @ 1172MHz) means that Scorpio well and truly deliver as far as the much-touted 6 Teraflop compute figure is concerned." How differentiated are the two? The PS4 Pro, as we’ve come to see, isn’t exactly powerful enough to provide a native 4K gaming experience. Frame reconstruction techniques aside, it’d be stretch to call it anything more than a 1440p capable box. The RX 480–the Polaris equivalent of the PS4 Pro’s GPU in the desktop space–is positioned as a quality option for 1080p. And this, bear in mind, is a part that’s running at significantly higher clockspeeds than the Pro’s GPU. GPU constraints introduce an upper limit to what the PS4 Pro can accomplish at 4K. Furthermore, the Pro still ships with 8 GB of shared system RAM/VRAM (not counting the extra 1 gig of DDR3). More than anything else, 4K is incredibly intensive on VRAM. Leave aside any increase in texture resolution to take advantage of the extra pixels: merely rendering a game as-is at 4K can eat up a substantially greater amount of video memory than running at 1080p. Factoring out OS RAM requirements, and considering the extra DDR3, the PS4 Pro has at best 6.5 GB of shared memory to work with, not all of which (obviously) can be used as video memory. We’re talking about access to 4GB of video memory or less in real-world situations. As games like Deus Ex: Mankind Divided show on PC, 4GB of VRAM is often insufficient at 1080p, let alone 4K. I run a 4GB Radeon Fury here. From personal experience, I’ve encountered hitches and stutter at 1080p in several titles due to VRAM utilization getting maxed out. Unsurprisingly, the relative lack of VRAM shows up in Pro-enhanced titles. Despite the admirable increase in resolution, texture assets remain unchanged from the PS4 original, and still below PC’s max setting. Increased texture resolution is one of the key benefits to gaming in 4K, and this is something the Pro’s not quite able to hand in. "What does 6 Teraflops of graphics horsepower mean? Factoring in API optimizations and efficiency gains from using a newer architecture, we’re looking at a GPU that’s just a bit faster than the R9 390X. If you’re looking at 4K/30 experiences, that is a great place to start." Going by Scorpio’s recently-outed specs, however, it almost feels like Microsoft has taken the Pro as a baseline, and built Scorpio’s capacities almost perfectly in line with the things the Pro can’t do. Let’s talk about raw graphics throughput here. Microsoft’s using a fully-custom GPU that has no clear parallels in the PC space. The Scorpio’s 40-CU graphics processor incorporates features from both the Polaris and Vega architectures. And the significantly higher core clock (GPU Clocked @ 1172MHz) means that Scorpio well and truly deliver as far as the much-touted 6 Teraflop compute figure is concerned. What does 6 Teraflops of graphics horsepower mean? Factoring in API optimizations and efficiency gains from using a newer architecture, we’re looking at a GPU that’s just a bit faster than the R9 390X. If you’re looking at 4K/30 experiences, that is a great place to start. While it’s obviously been superceded by the Fury line, AMD once actually promoted the 390/390X as entry-level 4K cards. How valid is that claim? Reasonably so! One of the difficulties in comparing PC parts with consoles is that PC games tend to be benchmarked at max settings. In comparison, the console versions of AAA titles like The Witcher 3, often feature elements such as draw distance, that are equivalent to PC’s low/medium. With console-level visual settings, the 390X is often able to make a good fist at 4K gaming at 30 FPS. Considering that the Scorpio still features a rather unimpressive Jaguar-derived CPU (albeit at slightly higher clocks, Custom CPU @ 2.3GHz), CPU constraints will limit most games to 4K even if there’s graphics horsepower to spare. "If Scorpio becomes a success, we’ll see developers making increased use of the DX12 featureset. This has positive implications for DX12 performance in PC games. All in all, the incremental CPU update is in line with Microsoft’s 4K/30 vision, just about enough to bring framerate minimums up to the mark for a consistent experience." A much-welcome Scorpio upgrade is the increase in shared systemVRAM to 12 GB. Moreover, unlike with the Xbox One, we’re looking at GDDR5 here, offering no less than 326 GB/S of memory bandwidth. Bandwidth scales with resolution. Moreover, as we’d covered earlier, higher resolutions and–crucially–higher resolution assets need additional VRAM. To make the most of 4K output, you need textures of a sufficiently high resolution to preserve high-frequency details like folds of skin specks of dust, and the other incidentals that, together, contribute to pushing game visuals out of the uncanny valley. 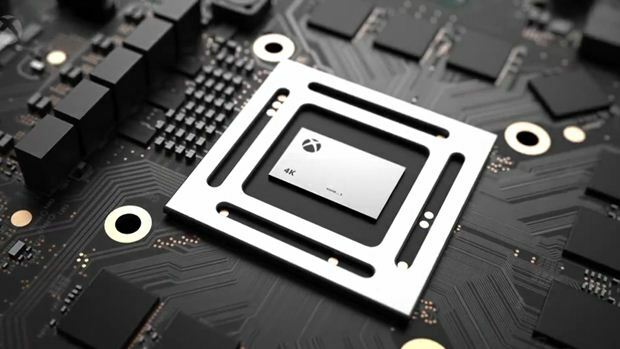 The extra memory allocation will go a long way, ensuring that Scorpio can display higher resolution texture assets that make the best use of its 4K output. Lastly, while the Scorpio’s processor is still undoubtedly meh, the 31 percent increase in CPU clocks relative to the Xbox One mean that in CPU-bound scenarios, the Scorpio will be better able to keep minimum framerates above the crucial 30 FPS mark. Moreover, the tight integration of DX12 with the hardware cuts down significantly on CPU overhead. This is something of a positive externality: if Scorpio becomes a success, we’ll see developers making increased use of the DX12 featureset. This has positive implications for DX12 performance in PC games. All in all, the incremental CPU update is in line with Microsoft’s 4K/30 vision, just about enough to bring framerate minimums up to the mark for a consistent experience. While the Scorpio’s still months out from release, the details we’ve received so far are highly encouraging: the Scorpio looks to be a meaningfully better alternative to the PS4 Pro, for legit, native 4K gaming. Let’s see what the (near) future holds! Credit: ifixit (for PS4 Pro’s motherboard image).